Ella, not her real name, was allegedly caught as an ‘amazon’ or woman fighter for the MNLF [Moro National Liberation Front] during the Zamboanga siege in September 2013. Her family is poor and she supported herself through vocational school by selling in the market. She was ‘forced’ to leave her studies to help raise funds for a big amount of dowry that her brother needs to pay for his bride’s family. To prevent rido or clan feuding, the brother had to get married even if they were too young to settle down. Ella and her younger siblings stopped going to school to help in paying for the family’s debts and in earning a living for the family. The education sector in the Autonomous Region of Muslim Mindanao (ARMM) exists within a complex and multi-layered social, political, economic and conflict environment. There are an estimated more than 10,000 displaced children from the recent Marawi conflict who will be unable to attend school this year. Both government troops and local residents have reported that child soldiers are fighting for the Maute/ISIS group in Marawi City. There is genuine fear that out-of-school children are vulnerable and at risk of being recruited by extremist groups. According to a joint DFAT and World Bank study in 2014, the education deficit in ARMM is so serious that only one in ten students will complete high school. Ella’s story, and what has happened in Marawi, illustrate how education poverty perpetuates conflict and the ‘poverty trap’ in Mindanao. Thus, education is a vital component of peacebuilding in Mindanao. Our own research, based on a Justice User Survey with 540 respondents administered over six areas in ARMM in June-July 2016, confirms that next to health services, education is the Philippine government service most desired by people in ARMM. Peace and security, employment, and basic utilities are also urgently needed in the region. Yet, past peace settlement efforts have glossed over this critical dimension of addressing the cycle of conflict and poverty. Most initiatives were geared towards showcasing immediate and short-term peace dividends rather than cultivating gradual and long-term solutions to structural drivers of conflict. The poor state of education in the ARMM reflects a long history of funding neglect from government, poor institutional arrangements and coordination, lack of accountability and transparency of public funds, and absence of reliable data. In 2015, it was revealed that there were many villages with no schools, existence of ‘ghost teachers’, selection of unqualified teachers, and non-payment of salaries. It was also reported that the Department of Education in ARMM is touted as the most corrupt regional agency in the autonomous region. Both the experiences and perceptions of injustice have contributed to the endurance of the Mindanao conflict. Inability to access effective basic services from state institutions has furthered feelings of helplessness and exclusion, resort to self-help and diminished trust in institutions outside of families, clans and immediate community. Mindanao is largely seen as an ‘ungovernable’ space where clans and families rule. But neither has there been sustained efforts to build and strengthen institutions that can deliver needed services and gain community trust. Given the state of education in Mindanao, from the Justice User Survey in 2016 we found that even schools are not as trusted as family and community-based institutions. What does this mean for peacebuilding and development interventions in conflict and post-conflict areas such as the ARMM? The modest research we have undertaken suggests that building peace at the community level is as critical as forging political settlement with the insurgent groups. Provision of effective and relevant services to the community can generate both short-term and far-reaching benefits for all stakeholders. It builds community resilience in the face of bigger crisis and is an important means of generating the confidence that is essential in creating a community of peace-makers and advocates. Pockets of space in the communities also exist where peace can be forged – whether at the formal or informal level – that need to be tapped in pursuing big-ticket peacebuilding programs. Schools, in view of their importance to the community, are an avenue for peacebuilding – and where capacities and opportunities can be developed for individuals and their families. They are a site not only for gaining new knowledge and skills but also to showcase and understand the diversity of cultures, religions and values held deeply by different groups. Schools also offer venues to engage the young into open and robust discussion of ideas and issues that affect their future. More than ever, there is an urgency to rebuild schools and learning institutions in Mindanao that were either ravaged by war or left to dissolve because of neglect or lack of resources. The quality of basic education in ARMM is still much lower than the national average, while the cost of producing a high school graduate in the region is more costly than anywhere in the country. This demonstrates the need for sustained investments to develop the quality of learning and teaching in schools as well as to tackle head-on the sticky governance issues that have plagued the educational infrastructure in Mindanao. 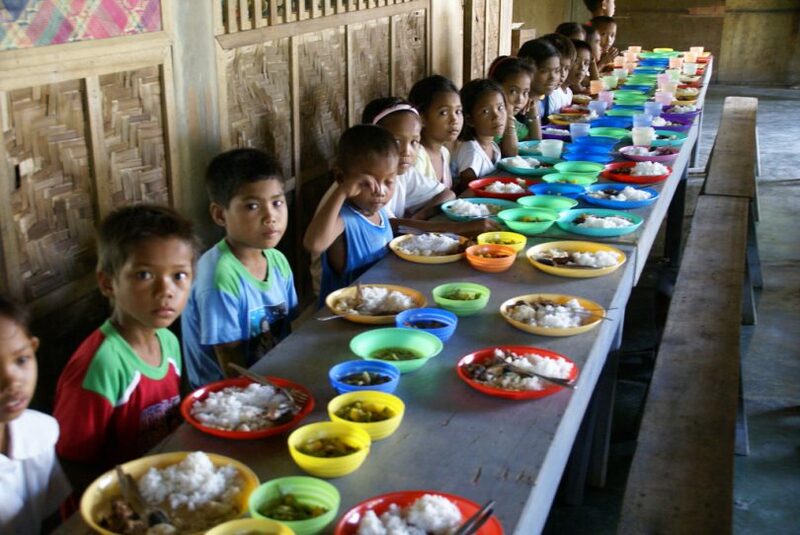 Australia has been at the forefront of providing long-term and sustainable development aid in Mindanao such as its education program that aims to provide primary education to the most vulnerable and marginalized. The Australian government recently announced it will give an additional $20 million dollars in aid for Marawi rehabilitation that is focused on the most urgent needs of the people and for the protection of children. This additional funding should give the highest priority to putting children evacuees back to school, help them overcome the trauma of experiencing war, and shield them from being recruited as child soldiers. It is also essential that families are given immediate means of livelihood and to rebuild their homes. Family and community institutions are the most trusted and crucial pillars of support for the individuals and their families in ARMM. Community engagement and participation are important to gain the trust and support of the community for any development program and to ensure that services are delivered effectively and received by those who need them the most. Working in a complex development landscape in ARMM requires being attuned to the particularities in each area, the relationship between formal and informal authorities, respectful of culture and traditional values, and flexible with strategies where necessary. Developing trust in, and a culture for accountable and responsive institutions among the community members and leaders, are essential to efforts at establishing mechanisms of accountability and transparency. Imelda Deinla is a Fellow in the School of Regulation and Global Governance (RegNet) and Director of the Philippines Project at ANU. Imelda recently spoke on basic education in Mindanao as part of an Aid Evaluation Forum at the Crawford School; listen to the podcast here.